What’s up with Ontario? 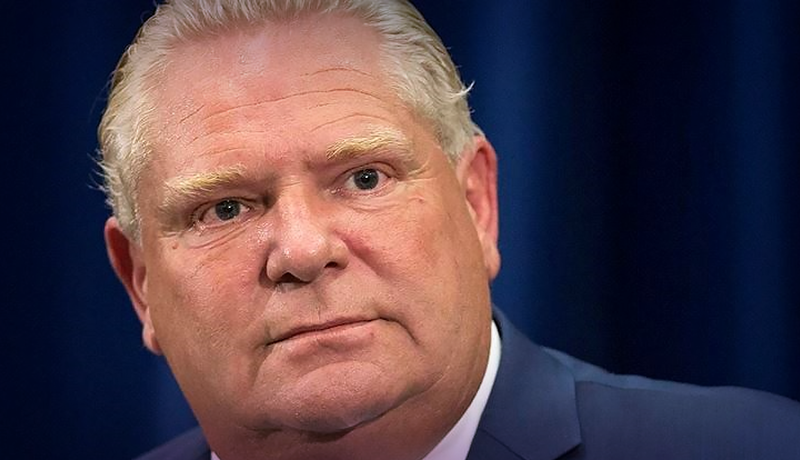 The June election that brought Doug Ford and his Conservatives to power has sent shockwaves across the federation. In an instant, Ontario has gone from being a reliable centre-left partner of Justin Trudeau’s Liberal federal government to being its principal antagonist. Using highly charged populist rhetoric not heard since the days of Depression-era Premier Mitch Hepburn, Ford is actively challenging Trudeau’s climate change policy and calling into question his NAFTA strategy. In its first 100 days, the Conservatives have rolled back the previous government’s environmental policies in the name of economic competitiveness and its social policies in the name of a silent majority. Doug Ford has made politics and policy personal. Drawing from the populist repertoire, he claims the exclusive ability to speak “for the people” – positioning his opponents as enemies. His creation of a select committee of the legislature to investigate the accounting practices of the previous Liberal government – and characterizing them as fraud from which Liberals personally benefited – fuels a polarized climate in which political opponents are demonized. His decision to unilaterally reduce the size of Toronto’s city council in the middle of the municipal election campaign, promising to override the Charter of Rights and Freedoms to do so if necessary, came off as a desire to settle scores from his time serving on that council with his late brother, Mayor Rob Ford. In his 2001 book Loyal No More, Globe and Mail columnist John Ibbitson wrote that Canada’s largest province was retreating from its longstanding role as the country’s moderate centre, a political community that so strongly identified with the nation as a whole that it lacked a distinct identity of its own. Whether Ford’s election signals a permanent or a cyclical shift in Ontario’s place in Confederation is unknown. What is clear is that federal-provincial relations are going to become more conflictual. And within the province, politics is going to get a whole lot nastier. On the face of it, the Liberals’ defeat was entirely predictable. Carrying the accumulated baggage of 15 years in office, their luck finally ran out. When Kathleen Wynne took over from Dalton McGuinty in 2013, she attempted to renew the Liberal brand much as the Conservative “Big Blue Machine” had done from the 1940s through the 1980s under premiers Drew, Frost, Robarts and Davis. In this she was unsuccessful. The Conservatives had led the polls for over a year before the 2018 election and were structurally best positioned to win as a government-in-waiting, regardless of the specifics of their platform or the personality of their leader. It seems that place matters in Ontario politics, perhaps more so than ever before. 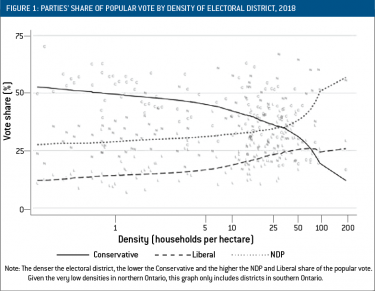 As figure 1 shows, density is in some sense political destiny: only at a gross density of about 50 households per hectare – a truly “urban” physical environment – did electoral districts tilt away from the Conservatives and toward the Liberals or the NDP. Why is this the case? And what does it mean for political cooperation and conflict in Ontario and across Canada, today and in the future? Rodríguez-Pose argues that progressive elites have made a political error in recent years by focusing on growing income inequality (the expanding divide between rich and poor people) while ignoring territorial inequality (the expanding divide between successful and declining places). Across the West, right and left populism has been most successful in places that are the casualties of globalization: rural and old industrial regions that have experienced sustained job loss and decline relative to high-growth metropolises where the high-value-added service economy is concentrated. Is this what’s happening in Ontario? To help answer this question, I pulled data on employment and immigration from the census at ten-year intervals between 1986 and 2016 for Ontario’s 49 census divisions – counties, regional municipalities and single-tier municipalities like the cities of Toronto, Ottawa and Hamilton. Census divisions are a convenient unit of analysis because unlike electoral districts their boundaries remain stable over time. Comparing the spatial distribution of growth across regions reveals a starkly uneven pattern of development. The vast majority of the province’s population and employment growth over the past 30 years has flowed into the Toronto region (table 1). To be sure, big cities everywhere have attracted investment and resources out of proportion to their share of the population. What is striking in Ontario is the magnitude of this disproportionality and the fact that this trend has accelerated over time. Between 1986 and 1996, greater Toronto attracted 58 per cent of population growth and 49 per cent of jobs growth – shares greater than its in 46 per cent share of the provincial population in 1986. Between 2006 and 2016, the region attracted 71 per cent of the province’s population growth and 82 per cent of jobs growth. Expanding population and employment have been fuelled by international migration – greater Toronto has captured an increasing share of Ontario’s immigrants, from 60 per cent in 1986–96 to 89 per cent in 2006–2016. Most of the remaining population, job and immigrant population growth has flowed to Ontario’s second metropolis, Ottawa. Without renewal of their population and labour markets, other places are greying and becoming less economically dynamic. Greater Toronto’s relative economic success has occurred in the context of profound long-term changes to Ontario’s economic base. Manufacturing’s share of Ontario employment has dropped by more than half across the province since 1986. These losses have been roughly evenly split between greater Toronto and the rest of the province. Yet while the economic base of many parts of nonmetropolitan Ontario has shifted toward lower-wage precarious work, the metropolis has transitioned to a postindustrial service economy. The City of Toronto and surrounding municipalities have captured more than three quarters of new jobs in high-value-added service sectors: finance, insurance and real estate. Professional, scientific and technical jobs are also highly concentrated in Toronto and Ottawa, making up 10 per cent of the employed labour force, as opposed to less than 5 per cent in the other regions. Partially as a result, the average individual income outside the Toronto and Ottawa regions is considerably lower than the provincial average. The local exceptions are midsized cities with “eds and meds” – large colleges and universities, and also hospitals – places like London, Kitchener-Waterloo and Windsor. These numbers suggest that metropolitan and nonmetropolitan Ontario are on different tracks, and that these tracks are only becoming more divergent over time. To use economist Mike Moffat’s phrase, there are “two Ontarios,” one which has reaped the economic benefits of agglomeration and immigration and is on a rapid growth trajectory and another that, while still slowly growing, is in relative decline. We can interpret Ontario’s increasing political polarization as being driven by this divide. This tendency will likely only increase as economic and social polarization becomes more intense. The discussion so far paints a discouraging picture of Ontario’s fracturing into two worlds: a vibrant Toronto-centred postindustrial metropolis in opposition to a declining, deindustrialized hinterland. But these worlds are of course not homogeneous. The rural hinterland is punctuated by urban centres increasingly specializing in higher-order medical and educational services. Today’s Conservatives draw greatest support from the hinterland and the NDP from the urban centres. And as I wrote in Inroads four years ago, the economic and social geography of the amalgamated City of Toronto is also divided between successful and marginalized zones, a division which is expressed in the city’s own political geography.3 Toronto is divided between the older urban core, which generally supports progressives, and the postwar suburban belt, which leans to the right. Sometimes suburban neighbourhoods vote together, as they did for Rob Ford in 2010 and for John Tory in 2018 when each faced a single core-based opponent, former Ontario Liberal cabinet minister George Smitherman in 2010 and former Toronto Chief City Planner Jennifer Keesmaat in 2018. Sometimes the suburban belt splits. In 2014’s three-way race, marginalized and declining suburban neighbourhoods, many with concentrations of recent immigrants, supported Doug Ford, while high-status areas went for Tory. While suburban political behaviour is variable, the core remains a political world of its own. In 2014, Olivia Chow was strongest in older gentrifying neighbourhoods in the core, places that are walkable and well connected by transit. Chow’s and Keesmaat’s zones of support look much the same, and also bear close resemblance to the NDP’s support in the 2018 provincial election. In an economy and society that features hardening “macro” divisions between regions, as well as growing “micro” divisions within them, it is only to be expected that political parties would seek to differentiate themselves from one another by strategically appealing to place-based grievances, lifestyles and problems. Indeed, our winner-take-all, single-member-plurality electoral system creates a powerful incentive for them to do so. Alternatively, a party’s becoming identified with one region may reduce its competitiveness in another. As institutions, political parties play a pivotal role in recruiting future leaders. They do this primarily where they are most successful. The spatial polarization of party support is therefore a self-reinforcing trend, one that fuels the insularity of party elites and their supporters. We can see how this has played out in Ontario. Over the past 15 years, Ontario’s Liberals won elections by sustaining a coalition of urban and suburban voters in metropolitan areas and midsized cities. In 2018, they retained residual support among metropolitan urbanites with proposals for continued investment in public transit infrastructure and expanded environmental protections, including the imposition of a cap-and-trade system. They were abandoned for the Conservatives by rural and small-city voters whose material interests are tied to low-density environments: car drivers sensitive to the price of gas, owners of large detached homes sensitive to home heating costs, and rural dwellers who resented their lack of influence over the siting of wind turbines. The NDP inherited much of the Liberals’ metropolitan core-area and midsized city “eds and meds” voter base but, as the map shows, it failed to connect with sufficient rural and suburban voters to tip ridings in their favour. Ontario’s three major parties now specialize in different types of places. The entrenchment of place-based conflicts in politics is a worrisome trend for Ontarians, and for Canadians more broadly. Looking to the American example, we can see what happens when parties cease to broker regional interests and instead become fused to place-based interests, identities and lifestyles. When different types of places no longer communicate with one another or appreciate one another’s distinct needs, there is no basis for compromise, legitimate opponents become illegitimate enemies, and parties govern in the interest of supporters rather than the whole. I have argued that political conflict in Ontario, and likely elsewhere in Canada, is increasingly generated by widening territorial inequality. Is there a way out of this predicament? Must political conflict increase (and policy problem-solving decline) as economic and social differences widen between places defined by distinct interests, lifestyles and identities? The answer is unlikely to be primarily political in the sense of parties finding new ways to package themselves to become competitive in areas that have forsaken them. Such realignments are likely to be harder to achieve as territorial inequality increases and place-based party identities become increasingly locked in. Electoral reform – some form of proportional representation – might increase moderation and collaboration through coalition government. Or it might fuel conflict by permitting the proliferation of antagonistic place-based parties. Either way, electoral reform is unlikely to come to Ontario any time soon. The more fundamental question is how to reduce the gaps in the first place. We can imagine two solutions. The first is to accept that the Toronto region will continue to be the engine of provincial jobs and population growth but make it cheaper to live in and easier to get to from farther away. The previous Liberal government implicitly pursued the latter approach by dramatically expanding the capacity and frequency of the GO Transit commuter system, and by advocating for a high-speed rail connection from Toronto to London and Windsor via Waterloo Region. But while a policy of incorporating southern Ontario into a single greater Toronto labour and housing market may equalize housing prices and more evenly distribute jobs across space, it may hold less appeal for the midsized cities that wish to chart independent destinies. They would likely prefer a second solution: expanding economic opportunities in nonmetropolitan centres. Indeed, this is what Rodríguez-Pose suggests: tailoring policies at all levels to places to harness their distinct human, institutional and physical endowments. We have seen some examples of such “multilevel governance” approaches already: the early 2000s Martin federal government’s urban development agreements and the partnerships generated by federal economic development agencies. Mike Moffatt has argued for locating new university and college campuses in laggard regions. However, taking this path would require more and different government expenditures and intervention, not less. This seems unlikely at a time when the new government is scaling back spending on the drivers of the new economy, especially infrastructure and higher education, and on support for people dislocated by economic change. This is too bad, for without differential attention from government, the Toronto region risks choking on its own success while the hinterland continues on its trajectory of relative decline. 2 Andrés Rodríguez-Pose, “The Revenge of the Places That Don’t Matter (and What to Do about It),” Cambridge Journal of Regions, Economy and Society, Vol. 11, No. 1 (2018), pp. 189–209. 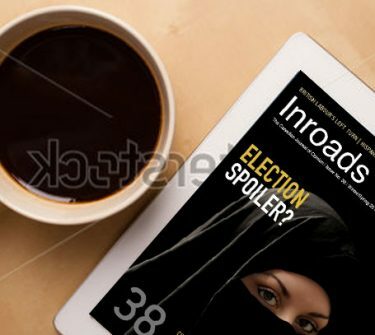 3 Zack Taylor, “The Two-Track City: Toronto’s Election, and What It Means for the Rest of Canada,” Inroads, Winter/Spring 2015, pp. 72–78.